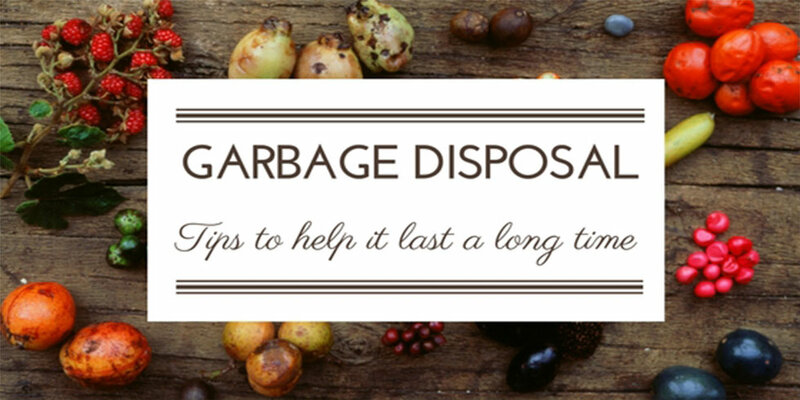 Garbage disposals are a fantastic instrument of ease in the kitchen. You know it can be a real time saver when it comes to cleaning up after a meal is finished by the guests. But only when you maintain it properly. In order to avoid creating a long-term plumbing problem, however, you will need to ensure that you treat your appliance with an appropriate care. The most common plumbing problem during the holidays is blamed on the garbage disposer. This is because when the drain line serving the kitchen sink is clogged, it backs up through the garbage disposer. These are the things you should follow in order to keep the garbage disposer up for a long time. Grind food waste with a strong flow of cold water. It is important as cold water will cause any grease or oils that could get into the unit to solidify. This way, they can be chopped up before they reach the trap. Grind certain hard materials including small chicken and fish bones, small fruit pits, and eggshells. These particles create the scrubbing action inside the grind chamber, which helps clean the walls of the disposer. Garbage disposals work best to clean up small amounts of food waste, such as when doing the dishes. Large amounts of food waste should be placed in the composting bin and do not flushed down the drain. Consider having your kitchen drain line snaked every two years as a preventive measure of maintenance. The disposer is only as important as the drain line which is serving it. These are the things to avoid in order to prevent any plumbing issue. Put expandable foods like rice and pasta down the disposal. These foods expand or swell up when water is added, and they will begin to do the same in your pipes. These foods are a common cause for many jams and clogs in kitchen pipes. Grind extremely fibrous scraps, such as onion skins or celery stalks. The fibres can get tangled in the blades and cause jamming. Starchy materials like potato peels should also be avoided. The combination of water and grinding can turn them into a glue-like material. Don’t use harsh drain cleaning chemicals as they are harmful to the user, plumbing system, and the environment. If you have used strong drain line cleaners, make sure and tell this to the drain cleaning technician so that he can take appropriate precautions. Use hot water while grinding food. It is acceptable to run hot water down the drain after you have used the disposer, but it is important that only cold water should be used during the food grinding process. Alotechnical is a maintenance company in Dubai-UAE. It provides quality services to residential and commercial domains. The quality services of plumbing, electrician, painting, carpentry are offered which fulfils the needs of the clients each time and leave them with delight and satisfaction. Contact Alotechnical for standard maintenance services.